Periodontal Disease (also known as gum disease, periodontitis or pyorrhoea) is an infection of the underlying supporting structures of the teeth. Periodontal means around the tooth. Periodontal diseases or (gum disease) are infections around the gums and bone caused by the bacteria (germs) in your mouth. These infections destroy the foundation, the gums and bone around your teeth.Remember that early diagnosis of gum disease is the key to maintaining your oral health and preventing serious systemic illnesses such as diabetes, heart disease, or stroke. Can you cure periodontal disease? Gingivitis, being a reversible condition, will restore quickly once dental plaque is removed and prevented from returning (by regular tooth brushing and flossing). The first line of defence against periodontal disease is actually prevention.Periodontitis is more advanced gum disease and needs to be treated like other chronic disease such as diabetes and high blood pressure which cannot be cured but can be controlled by medication. 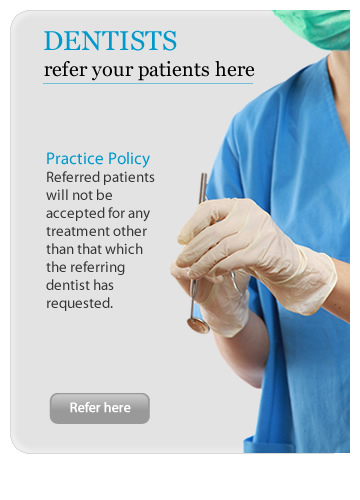 You can establish your risks for gum disease and make appointment to see a sepecialist. The medication for periodontitis is good home care and regular professional hygiene visits. With this regime one can hopefully expect to keep their teeth for the rest of their life. Gum disease can result in tooth loss! Gums disease is the leading cause of tooth loss in adults, affecting more than three quarters of all people, regardless of race, nationality, or socio-economic levels. In fact, nearly half of all twenty year olds in the world have at least one periodontal pocket. Periodontal Pockets are spaces between the tooth and gum, the deeper the gum pocket the worse the problem. the more successful the treatment results. Dental implants are the best solution for missing teeth. A dental implant is an artificial tooth root placed where the missing tooth used to be. They are made of solid, sterile titanium which is inserted into the jaw to replace the roots of natural teeth. On the top of these implants can be placed fixed crown or bridgework or even a removable denture. Dental implants provide a strong and stable foundation for replacement teeth, which look, feel and function just like natural teeth. They replace missing teeth while preserving the condition of healthy adjacent teeth and stimulate bone and gum tissue to provide an attractive and aesthetic smile.